The Woodrow Wilson Center’s Comparative Urban Studies Project, USAID, the International Housing Coalition, the World Bank, and Cities Alliance are teaming up a third time to co-sponsor an academic paper competition for graduate- and PhD-level students focused on challenges facing urban centers in the developing world. The themes of this year’s competition are land markets, global climate change, and youth. Land Markets: The absence of efficient land and housing markets and lack of secure tenure for both renters and owners are impediments to urban and economic development in developing cities. Papers on this topic should explore strategies and approaches that would enable property markets to function better and would provide increased security of tenure and strengthened property ownership rights. Global Climate Change: Papers should examine how urban populations, especially the poor, are coping with the impacts of climate change, and provide strategic policy analysis to better understand how cities can become more resilient to climate change impacts. Youth: Most of the youth of the developing world are now or will soon be living in urban areas. Unfortunately, they are often growing up in the poorest urban areas – informal settlements and slum communities where their opportunities for advancement are limited by a variety of negative factors. Papers focused on youth should explore ways to build capacity so that you can develop knowledge and skills, find gainful employment, and participate more fully in society to advance economic growth and social development. Winning papers from each category will be published and the authors invited to Washington, D.C. in the fall of 2012 for a policy workshop with subject matter experts. Additionally, one grand prize winner will be asked to present his or her work at the World Urban Forum (WUF). WUF was established by the United Nations to examine rapid urbanization and its impact on communities, cities, economies, climate change, and policies. The sixth WUF will be held from September 1-7, 2012 in Naples, Italy and will be focused on “The Urban Future.” In addition to the Washington conference and publication of his or her paper, the grand-prize winner will be invited to present his or her winning paper on a panel at the World Urban Youth Assembly at WUF on September 1st and 2nd. The deadline for the submission of abstracts is February 20, 2012. 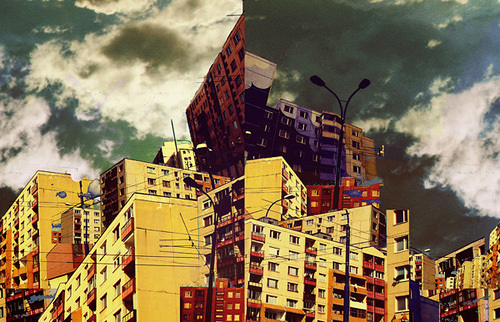 Image Credit: “Split by yelowcap,” courtesy of flickr user yelowcap (Vladimir Kaštier).